The Internet age has brought a whole new career to the forefront, one that is only gaining in popularity. A virtual assistant, also referred to as a VA, is typically a self-employed person who provides many different virtual services to their clients. A client could be an individual website owner, or possibly even a corporate company. These services include, but are not limited to, ghostwriting, graphic design, e-mail or social media management, and so many other different tasks that business owners have on their plate on a day-to-day basis. Are you frustrated in your current job and looking to gain more independence? Why not kiss the ol' nine to five goodbye and start earning cold hard cash right from the comfort of your home, on your own terms! Plainly put, a virtual assistant is an administrative assistant who works from a home office. They're highly skilled professionals who business owners are able to trust doing many of the tasks that they either do not have time for, do not like to do, or just aren't able to do. Virtual assistants need to be independent workers, since most of the time their clients will give them a general task that needs to be completed, and it is up to the VA to see that task to completion. No micromanaging here! Depending upon the flexibility, availability, and current workload, virtual assistants don't always work with just one client at a time. Virtual assistants are generally hired on an as-needed basis, so in the time slots that you are available and do not have a pressing task to do, you can always pick up work with another client. It's also possible to work out a monthly retainer agreement, where you offer to provide a set number of hours per month for a flat fee. In either arrangement, it is always a good idea to let your regular clients know if you work with multiple people, especially if it isn't already clear. It's also essential that you keep the details of your tasks confidential. Due to the very private nature of virtual assistant work (it is your client's livelihood, after all! ), VAs have to be trustworthy individuals who operate under honesty and integrity. Sometimes they might be required to collaborate with their client on projects and help to solve problems within the business that they do not want divulged. It's also possible that you may be asked to work with competing companies. Decide how you want to handle this in advance and understand that it is usually best to avoid a conflict of interest. You do not need a degree or any special certification to become a VA. While not a lot of experience is required, communication and basic office skills are a must! If you're interested in getting started in the VA world, you must realize that you're not going to be successful overnight. It takes a little bit of time to get started, build up your clientele, and allow referrals to come your way. 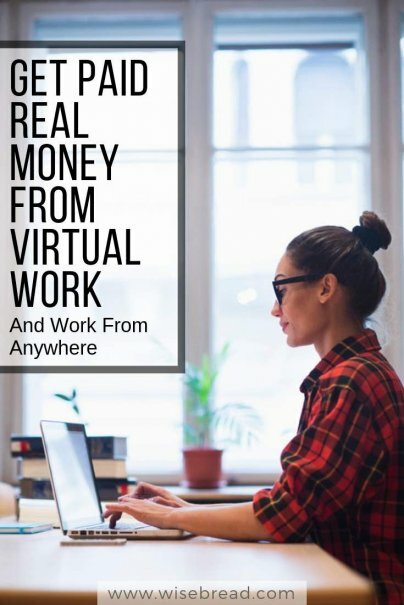 While virtual assisting is a work-at-home job and face-to-face contact with your clients is rare, you must still be good at communicating with your clients, either by e-mail, phone, or services like Skype or Google Chat. Good communication also comes into play when you are trying to sell your services to someone; you have to be able to offer help without sounding spammy. Most VAs start out by "hanging out their shingle" — or creating a website. This, and a solid social media presence will help clients find you and learn about the various services you are able to provide. Some online professionals choose to purchase domains using their name so they can get their name out there and often it's easier than coming up with something catchy. Other times they wish to operate under a business name and register a domain that way. You can even use a free service such as Blogger. It is also recommended that you create profile on LinkedIn and update it regularly with examples of your work (provided they are not bound by confidentiality agreements). To make your social media footprint larger, sign up for Twitter and create a Facebook business page. Try to keep the same names, or as close to it as possible, across all social media platforms so you can begin to establish your brand and business. Be sure to also follow and engage with people who could become potential clients. For instance — if you're a content writer, start following blogs that interest you. When you see an article that spurs another article idea, offer to write it for them. This could be the beginning of a great relationship! This is where things can get a bit tricky. With the Internet readily available to people all over the world, there will always be someone willing and able to work for less than you are. While this can be frustrating, it is very important that you do not sell yourself short. Know what you're worth and don't settle for less. This might mean that you lose out on some jobs in the beginning, but your work will start to speak for itself and word will spread at just how quick and detail-oriented you are. This is also why communication is such a key aspect to being a successful virtual assistant. In a survey conducted by VA Networking in 2007, over half of the respondents answered that they charge between $21–$40 an hour, with some charging well over that and working full-time hours. You might be thinking that those are seasoned virtual assistants, however the majority of overall respondents have only been in the field for less than a year! You don't necessarily have to set up accounts for all of these sites, but when you're first getting started, it might help you to get your foot in a few. Once you start receiving a lot of requests for jobs or find the one or two clients that want you regularly, you can always suspend your accounts on the other websites. One thing to note with all of these sites is that it is imperative that you describe your skills and exactly what you're willing to do on a project. In the technology age, with only digital communication, it is easy for things to get murky. Be upfront and honest and it will earn you repeat business in the future. Fiverr is a website where virtual assistants can post their gigs, starting out at $5. This is a great place to get started since Fiverr is widely used and popular and it helps you to get more experience under your belt. It also helps you to see what different projects people are hiring for and just how long it will take you to finish various projects, so you know just how much you should charge in the future. Upwork is similar to Fiverr, however freelancers are able to charge per hour or by project. The freedom to pick your rates per project makes Upwork a favorite among freelancers. Due to the popularity and surge of freelancers using it in recent years, however, it makes it tough to get started. VirtualAssistants.com has been featured in many well-known publications and is known widely throughout the field. All jobs are prescreened, so you know that you won't be getting into a scam when applying for a potential virtual assistant job. Virtual Office Temps is a lot like online classified postings, with the ability to post jobs or find them, whether they be part or full-time. It also offers free training, testing, and certification to help you to gain credibility. There are also many Facebook groups dedicated to specific jobs for virtual assistants, and they can be found by doing a quick search using the top toolbar. Are you starting to see your life as a virtual assistant? This flexible job can be perfect for working a part-time schedule, but it also offers the potential for going full-time from home. Have you worked as a VA? Please share your experience in comments! eaHELP.com matches independent contractors with up to 3 clients at a time, minimum 5 hours weekly per client with potential 40 hours (or more). Supportive corporate staff and ongoing training provided. Here are a few tips from a business owner/clients point of view that you might want to consider if you're starting a VA business (and yes....you are starting a business). 1. Specialize - Don't be a jack of all trades. Specialize in small business, or startup growth, or personal assistant (scheduling and booking travel etc). This will allow you to do better work, and charge more for it. I won't hire someone who isn't clear about what exactly they can do for me and how well they can do it. 2. Under promise and over deliver. If you tell me you're amazing at something and come out with something that's so-so, you will be finding a new client. 3. Don't turn away money. When I come to rely on you, don't slush me off for other clients. If you can't handle my workload, pass me on to someone who can. Hope that is helpful. It's not all roses out there, but if you do good work, people will love you for it and will pay you well for it too.